Posted in Arts, Impulse and tagged Arts in India, Arts in UK, British Council, contemporary dance, Impulse on August 21, 2014 by Shonali Ganguli. We’re set to go. Over the next three months India will be enjoying the best of contemporary dance from the UK. Not just by watching the performances which are a rare treat, but also by interacting with performers through a range of activities planned with dance organisations in India and young people across the country, including workshops, master classes and networking events. All this is part of Impulse 2, the British Council’s new season of contemporary dance. The season is built around 15 performances by leading UK dance companies — Hofesh Shechter Company, Scottish Dance Theatre and Avant Garde Dance. 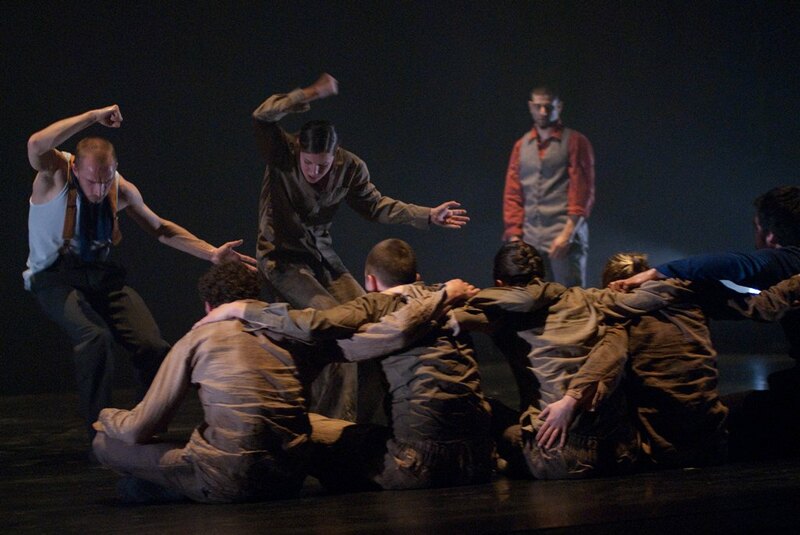 The first series of performances — Political Mother by Hofesh Shechter Company — brings the sound and feel of a rock concert with gritty, fast-moving visual movements and is described as “especially appealing for young people (14+) because of its fast moving, highly physical choreography”. Watching this video would definitely make anyone agree. The tour launches in Hyderabad on 5 September and travels to Delhi, Kolkata, Bengaluru and Chennai. Find out more about show dates at www.britishcouncil.in/impulse2. In October, the Scottish Dance Theatre, Scotland’s national contemporary dance company, returns to India (they were here as part of Impulse held in 2012 along with Akram Khan Company, Aakash Odedra Company, Protein and Champloo, where we took contemporary UK dance to seven cities over eight months). The tour will be from 1-11 October 2014 and the performances will be held in Chennai, Bengaluru, Delhi and Kolkata. In November, we have Avant Garde Dance, a London based company pushing the boundaries of hip-hop and contemporary dance. The tour will be from 1-21 November 2014 and the performances will be held in Delhi, Kolkata, Mumbai, Hyderabad, Bengaluru and Chennai. Lots to look forward to. Follow this blog if you want to keep abreast of everything that’s happening around Impulse 2. And do send in your comments and thoughts. Posted in Connections through Culture and tagged arts grants in India, Arts in India, Arts in UK, British Council India, Connections through Culture, grants scheme, UK and India connections on June 7, 2010 by British Council India. We are delighted to announce that following our pilot UK-India: Connections through Culture programme, we will be continuing the initiative for the next three years. The programme will include creative networking opportunities, development support and a number of small grants to enable producers and arts organisations to develop relationships and create collaborative work. Connections through Culture: UK-India is the British Council’s programme to seed and support collaborative working between the UK and India in the arts, to generate long term partnerships. Applications for the next round of the CtC: UK-India scheme are now open. Applications need to demonstrate commitment towards developing a specific project or relationship and should come jointly from an organisation in the UK and in India. Grants are available between £500 and £5000 or the equivalent in Indian rupees. The closing date for applications (Round 3) is 30 June 2010.